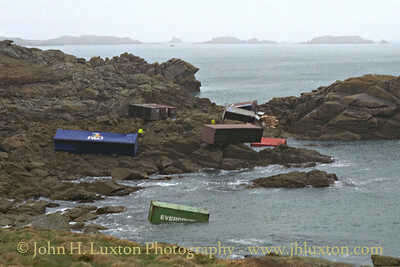 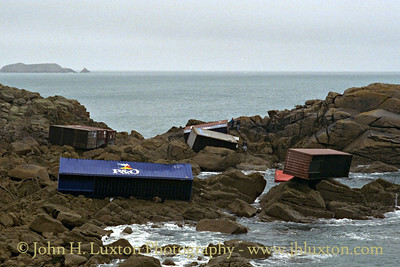 A large number of containers were strewn around the coast line. 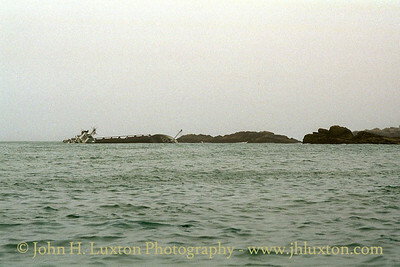 My first view of the wreck of the MS CITA on Newfoundland Point. 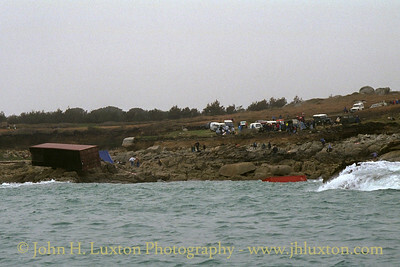 Another view of the CITA as a RIB speeds past. 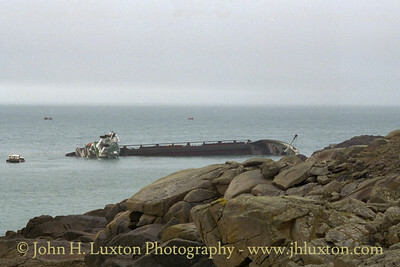 If the ship had been a few yards further south it would have missed the rocky outcrop of Newfoundland Point. 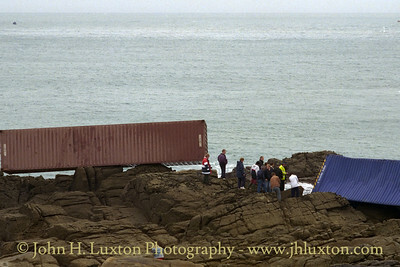 One of the handful of police mingles with a group as they contemplate how to open the container. 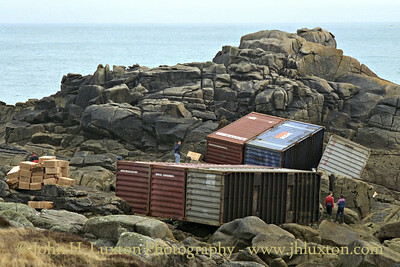 Some of the contents of the containers were soon being stacked up on the beach ready for removal. 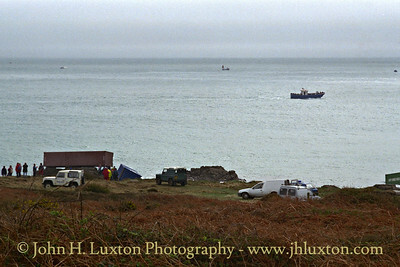 Access tracks to the coast were quite suggested by vans and cars! 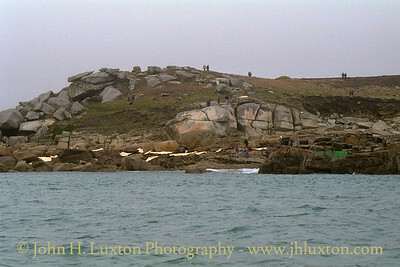 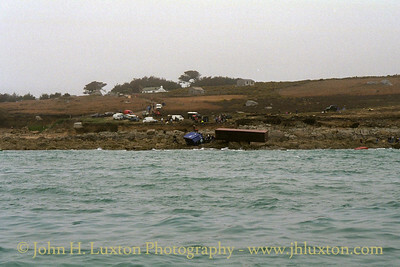 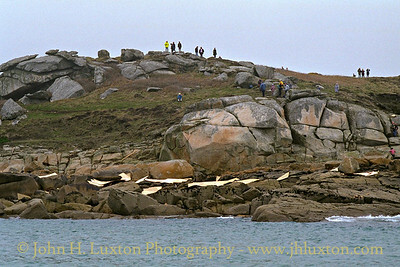 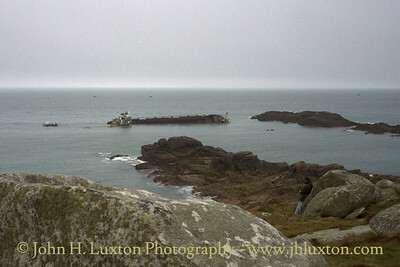 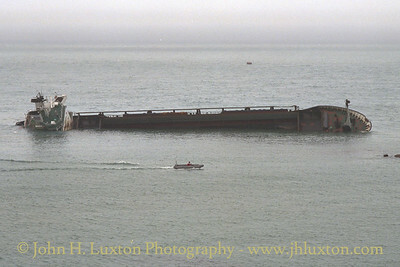 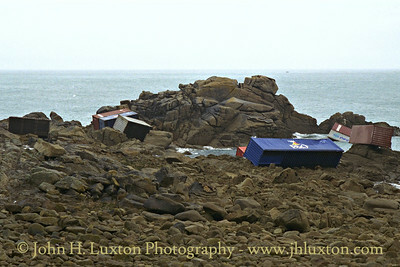 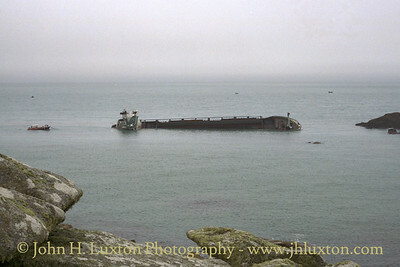 The Bryher Boat Services passenger ferry was one of the first passenger vesels to take people to see the wreck. 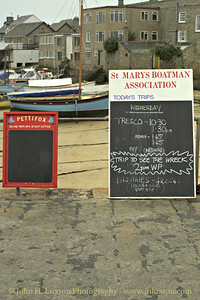 "Trip to See the Wreck" - St Mary's Boatman's Association departure board on the Quay at Hugh Town, St. Mary's. 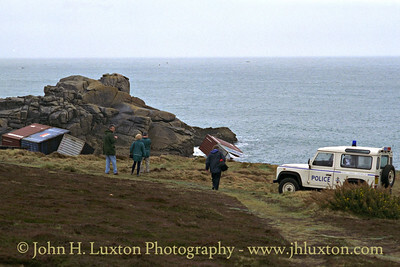 Access tracks to the coast were quite suggested by vans and cars! . 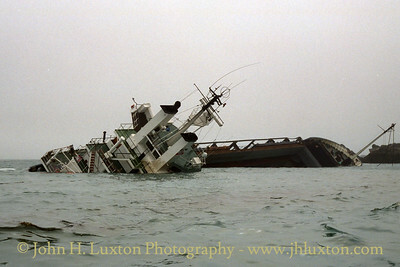 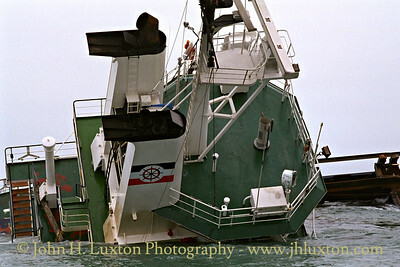 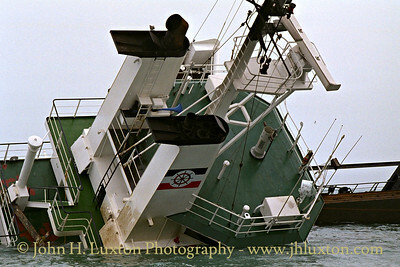 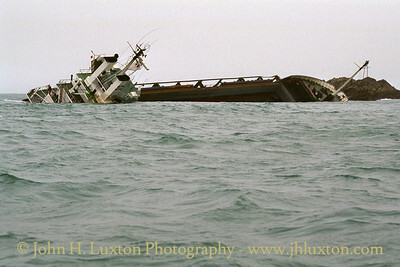 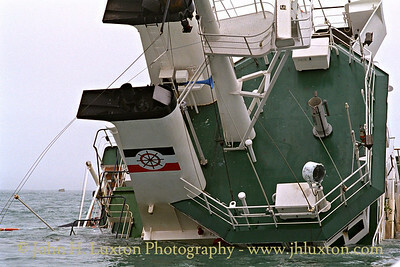 Views of the wreck of the MV CITA taken from the passenger boat trip. 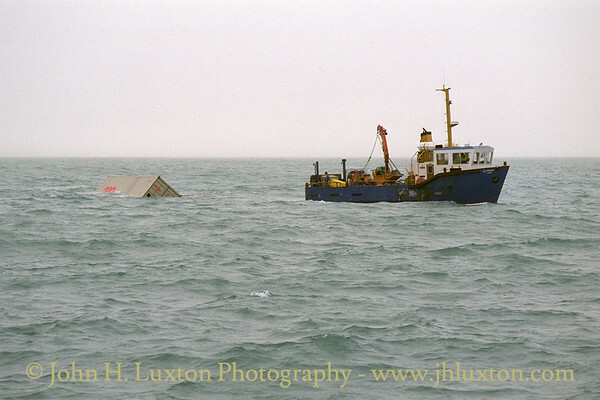 The MV CITA was also carrying a lot of plywood which was eagerly gathered up! 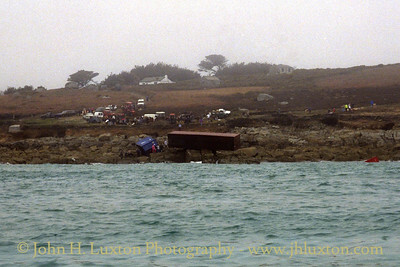 Isles of Scilly Steamship Company inter island freight ferry LYONESSE LADY retrieved an OOCL container and towed it into Hugh Town Harbour, St. Mary's.